Written by Georg Holzmann on Dec. 18, 2014 in Development, News. We are happy to announce that full import and export possibilities from/to Spreaker are now supported by Auphonic! Spreaker has a lot to offer for audio producers: audio file hosting with web page, RSS feed generation for multiple shows, chapter marks, advanced audio analytics, embeddable audio player widget, mobile and desktop apps for recording with (optional) live streaming support, full API, RSS feed import, etc. The basic Spreaker account is for free – see pricing if you need more. Auphonic and Spreaker complement each other perfectly, therefore we implemented a connection to Spreaker as an incoming and outgoing External Service in Auphonic! If you want to use Spreaker for audio hosting, you can automatically export your Auphonic productions to their servers and other services simultaneously. Spreaker Collection / Show: Select your Spreaker Collection where this track should be published. Each Collection has a separate RSS feed and can be created in your Spreaker Account. Sharing: Private or Public. Private Spreaker tracks are not visible by other users. Downloadable: If disabled, listeners won't be able to download this track and it won't be included in your RSS feed. Auphonic automatically encodes an optimal output file format for Spreaker (MP3, 128kbps) - all Metadata tags (ID3 tags) entered in our interface, including Chapter Marks, are also available in the file hosted at the Spreaker servers. Additionally, all Metadata, Chapter Marks (including URLs and Images) and the Cover Image is used to create a web page for your episode at spreaker.com. 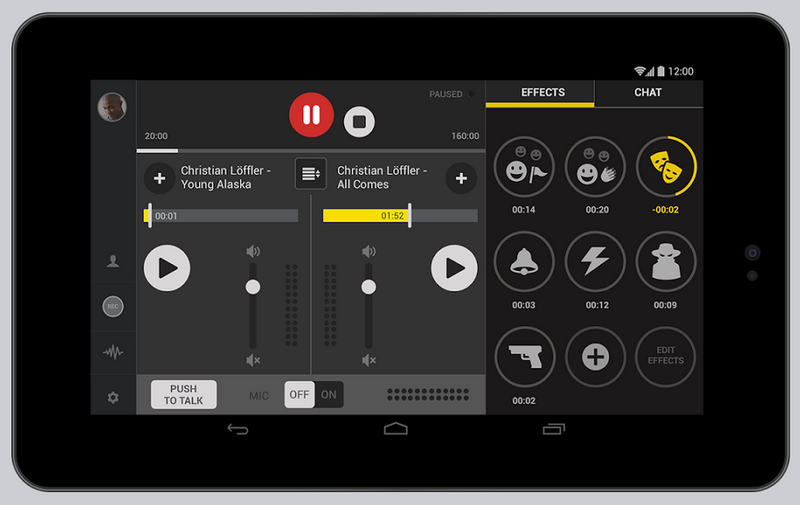 In addition to audio hosting, Spreaker also develops mobile apps for Android and iOS and a web app for recording and streaming a show. Therefore it's also possible to use Spreaker as an Incoming External Service: select an audio file from Spreaker as the source of your production and process it with Auphonic. Export and import to/from Spreaker is also fully supported in the Auphonic API ! Spreaker has a lot to offer and is a perfect addition to the Auphonic system. You get a feed for multiple shows, an embeddable player, infrastructure and apps for live streaming and recording in seconds. The basic plan is for free, for more see pricing. in just a few days, they implemented a new authentication system and other features to make the Auphonic integration possible.